Just say “No” to the dry turkey breast and cook it in a slow cooker! 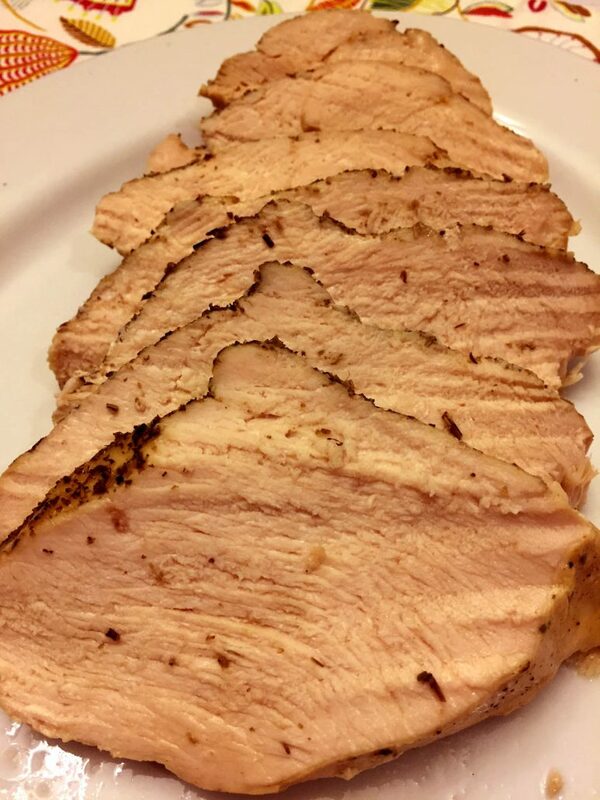 This easy crockpot turkey breast recipe produces the softest juiciest turkey breast that’s impossible to mess up! If you ever tried roasting turkey breast in the oven, you know how hard it is to get it right. By the time the meat thermometer gets to the right temp, oh horror – the turkey breast is tough and dry! If you can relate to that, look no further – the CROCKPOT is going to be your favorite method to cook the turkey breast! Slow cooker always makes the moistest juiciest turkey breast that’s never dry, and best of all – you hardly have to do a thing! 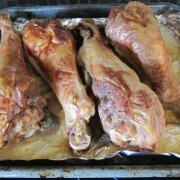 For roasting the whole turkey, I use the foolproof brown bag turkey method that makes the most amazing turkey ever! 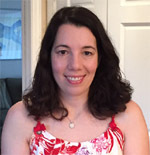 For cooking just the turkey breast, I always go for the crockpot. Neither of these methods ever failed me, and everyone I taught these easy ways of cooking turkey raves about them! Crockpot turkey breast is a perfect recipe for smaller holiday gatherings that don’t warrant cooking the whole turkey. Your homemade turkey breast will look so impressive, and then when you carve it, the slices will be absolutely beautiful, and will be tender, soft and moist. My go-to gravy to serve with the turkey is my make-ahead gravy recipe – making the gravy ahead makes your holidays so much easier! Another awesome thing to serve with this turkey is homemade cranberry sauce with no added sugar – yes, healthy cranberry sauce and so yummy too! Making the turkey breast in a crockpot is super easy. 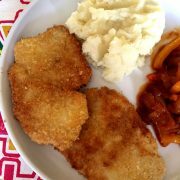 You can use either bone-in or boneless turkey breast for this recipe, I prefer the boneless since it’s easier to carve. 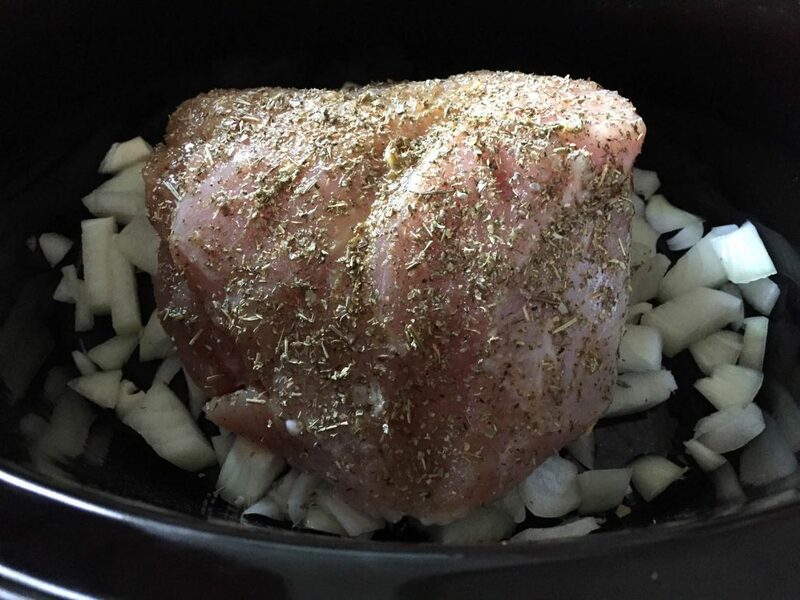 Put the chopped onion on the bottom of the slow cooker, rub the whole turkey breast with salt, pepper and seasonings, then place the turkey breast on top of onion and cook on High for 3.5 hours or Low for 7 hours. Yes, set it and forget it! If your turkey breast is larger than 3 lbs, the cooking time might be longer, just use the meat thermometer to determine when the turkey is done – the temperature of fully cooked turkey should be 165F. 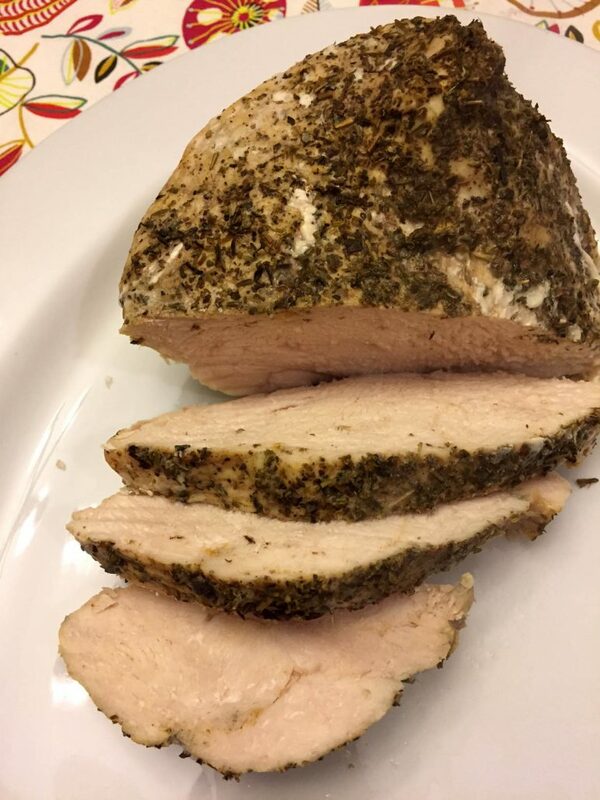 Looking for side dishes to go with this easy crockpot turkey breast? Check out my easy cornbread stuffing, make-ahead mashed potatoes and baked hasselback sweet potatoes. It’s going to be an amazing feast! 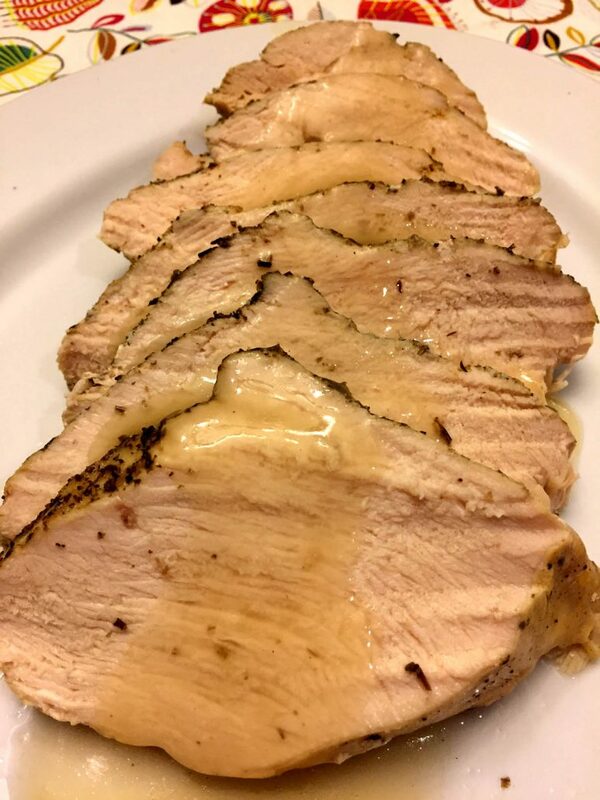 This slow cooker turkey breast is not just for holidays, I make it year round. Have you seen the prices of carved roasted turkey breast in the deli section (not the deli turkey, but the real roasted turkey)? Last time I was at Whole Foods, it was $12.99 per pound! 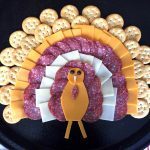 Paying this much is ridiculous when you can make this turkey so easily yourself! 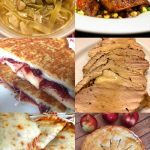 I just throw in the turkey breast into the crockpot, then eat it for dinner and use leftovers for all-natural and delicious roasted turkey sandwiches! Slow cooker is the easiest way to cook turkey breast, and this method produces the softest, moistest and juiciest turkey! 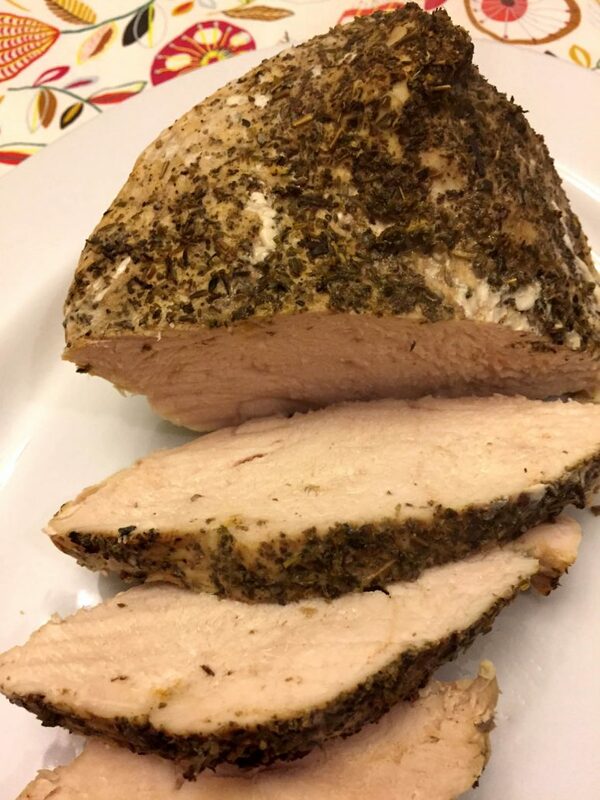 You can use both bone-in and boneless turkey breast with this recipe. Just rub the turkey breast with spices, put in the crockpot along with chopped onion and cook to perfection! Rub the turkey breast with salt, pepper, garlic and Italian herbs seasoning all over. Put the chopped onions on the bottom of the slow cooker. Put the turkey breast on top of the onion. Cook the turkey breast for 3.5 hours on High or 7 hours on Low, or until the meat thermometer inserted in the thickest part of the turkey breast registers 165 degrees. 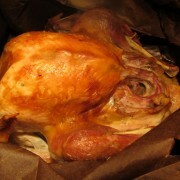 Best Thanksgiving Roast Turkey Recipe In A Brown Paper Bag - Easy, No Basting! Great recipe! My turkey turned out perfectly!